R.M.S. Scotia which was sunk at Dunkirk rescuing our troops 1st June 1940. 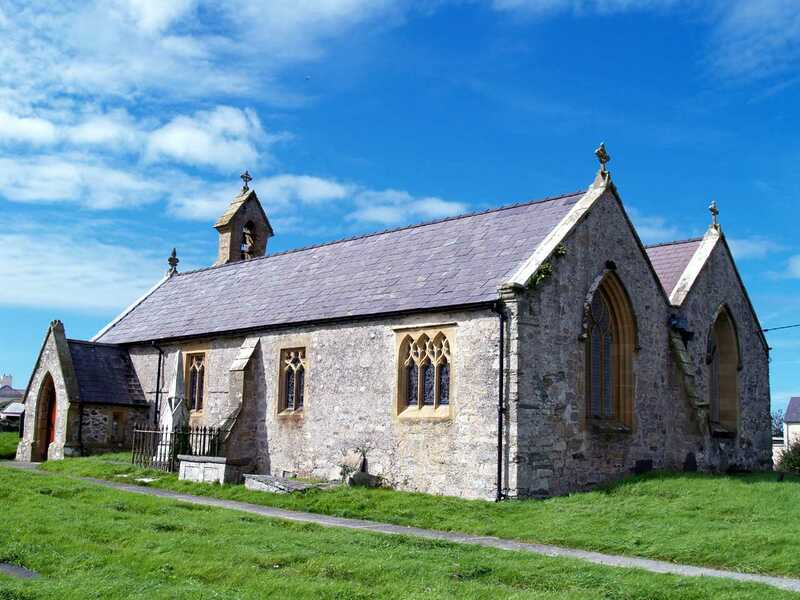 Aberffraw War Memorial is located outside St Beuno's Church, and appears to be a very new monument, so I will - when time permits - find out where the original war memorial is or was, and find out if there are further memorials in the chapels and within the Church graveyard. William, Henry (known as Harri), and John Parry Jones were three brothers from Aberffraw, there had been four, but the eldest - Hugh - had been killed whilst working on a farm before the war broke out. William and Harri were both soldiers in the Royal Welsh Fusiliers, and both lost their lives in France. Younger brother John Parry Jones was only aged 18 when WWI finished, and I cannot say whether he served his country during WWI. During WWII however, John Parry served on board the ill fated H.M. Transport Scotia (one of Holyhead's Ferry Boats), losing his life during the sinking, whilst picking up soldiers from the beaches at Dunkirk on 1st of June 1940. Thus, the last of the four sons of Robert and Margaret Jones, of 121, Garden Terrace, Aberffraw, had paid the ultimate price during war. 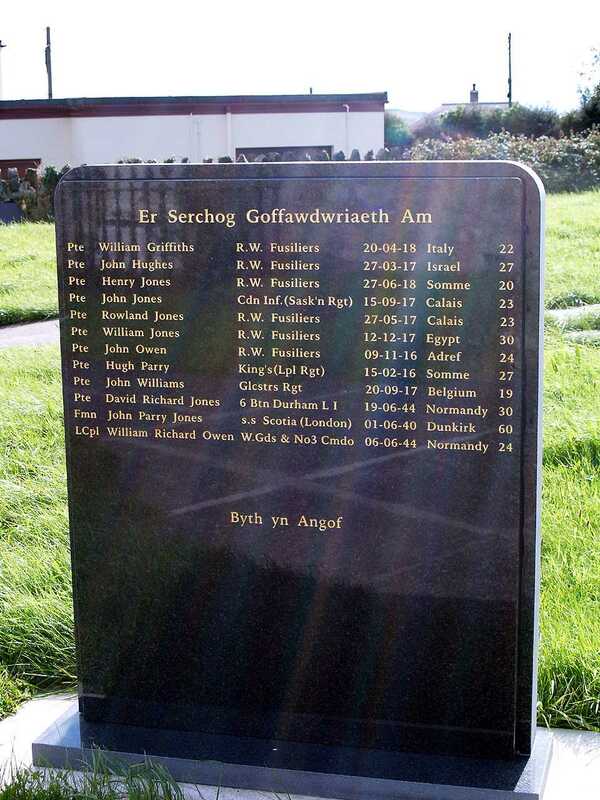 Private John Owen of 51, Church Street Aberffraw, is the only soldier actually buried in Aberffraw Churchyard. He had been hit by a piece of shrapnel while serving in the trenches at St Eloi with the 10th Btn RWF in January 1916. John spent 6 months in hospital in Northampton, before being discharged from the army with "Complete and Total Disablement." A small wound in his lower back had left him paralyzed from the waist down. He came home to Aberffraw with an army pension of 25 shillings per week, and died less than 3 months later. Hugh Parry of the School House in Aberffraw was - in civilian life - a sculptor.